Party season is nigh, and with that comes fancy dressing. Yes, it's long been drilled into us that the right shoes "make" an outfit, but when it comes to this time of year, shoes tend to actually become "the outfit". Really it's the only time you can go OTT on sequins soles, velvet and all-round sparkly-ness in shoes without feeling overdressed. When you've got Christmas occasions in the plural, New Years festivities and mid-week parties just because 'tis the season mean that our wardrobes much harder in December than any other month. The emergency 'nothing-to-wear' LBD that you've been pulling out since 2005 is timeless in it's nature but to make it look like a new outfit altogether can be achieved with just the ankle down. 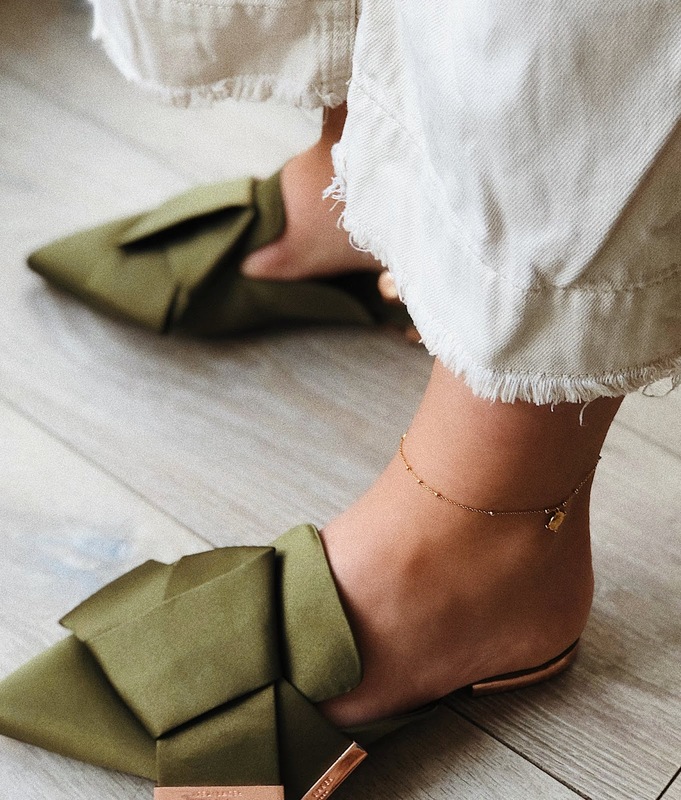 If your vibe is more casual than all the above (mine certainly is), and sky-scraping heels don't do it for you (frankly because you fear you will incur an injury within the first five minutes of wearing), look no further than the equally as festive-feeling flats that are gracing the high-street right now. This pair of emerald green ones (kindly gifted by Ted Baker) are all kinds of party-friendly without being ankle-threatening and will take you from day to night effortlessly. 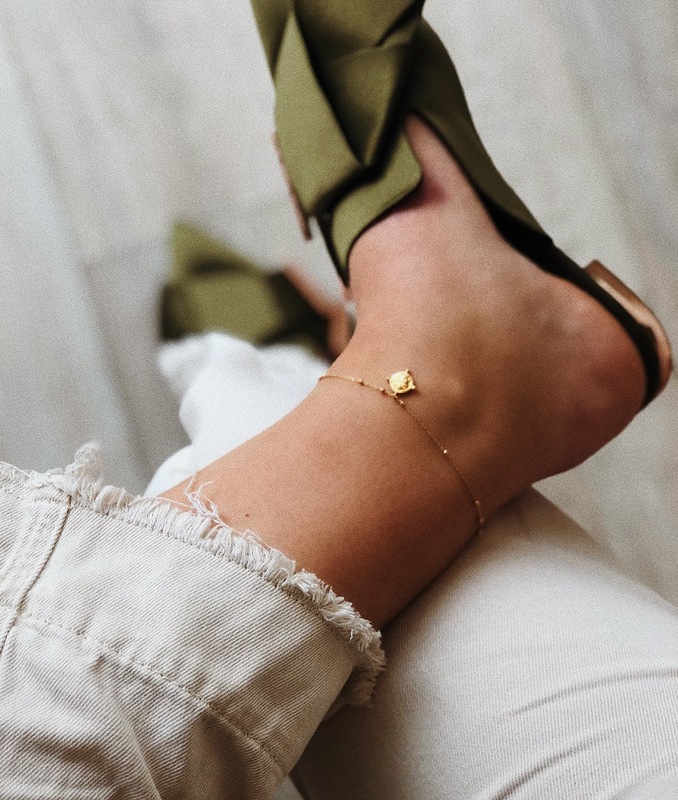 Green brings a bit of colour to an all-black ensemble; paired with an anklet (mine is Missoma and currently sold out; similar here) and your festive get-up, you are party-season ready without even slightly resembling a Christmas decoration. 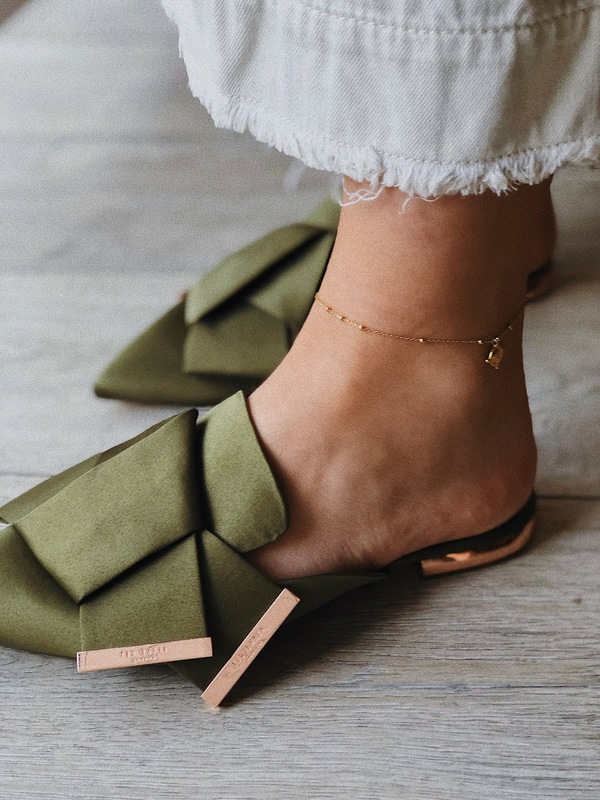 SHOP the WRENA shoes here + find this post on my Instagram (@aestheticalblog) to be in with a chance of winning £150 worth of Ted Baker. OMG so dainty and beautiful!